Harry E. Wedeck was a linguistic, scholar of the classics, and observer of spheres beyond the norm. A native of Sheffield, England, Prof. Wedeck was chairman of the department of classical languages at Erasmus Hall High School in Brooklyn from 1935 to 1950 and then taught the classics at Brooklyn College until 1968. Afterward he lectured on medieval studies at the New School for Social Research until 1974. Some of his excursions into the unusual remain available in reprint editions. They include Dictionary of Astrology, A Dictionary of Aphrodisiacs, A Treasury of Witchcraft and Triumph of Satan. 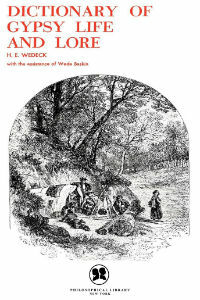 They were originally written near the end of Prof. Wedeck’s career, when he was steeped in the classics as an educator in the New York City school and college system.